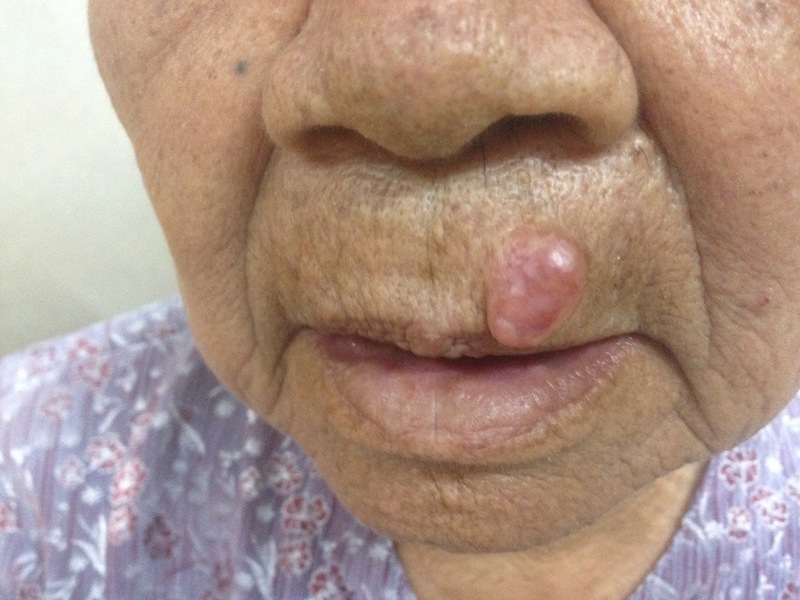 Woman 78 yo, presented small nodule of upper lip, slow growing for 1 year, no pain, no itching. 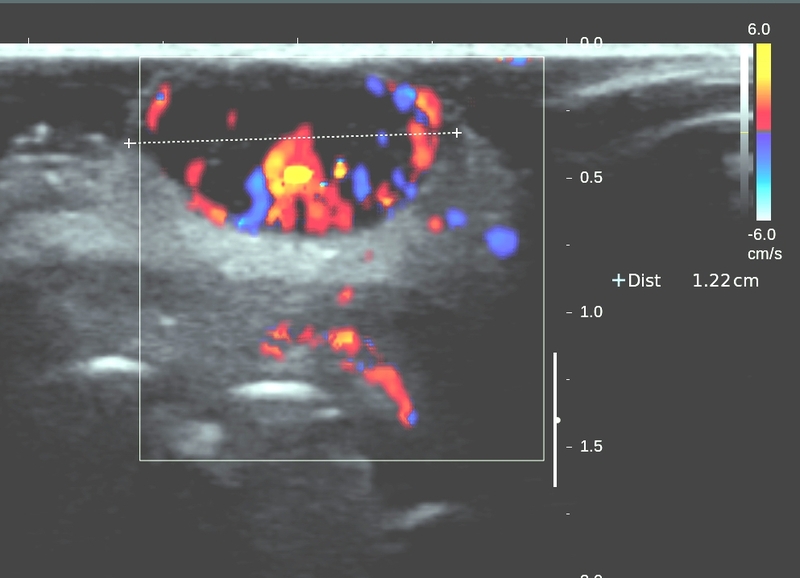 Palpation of this tumor was hard, size around 2 cm ( see foto). 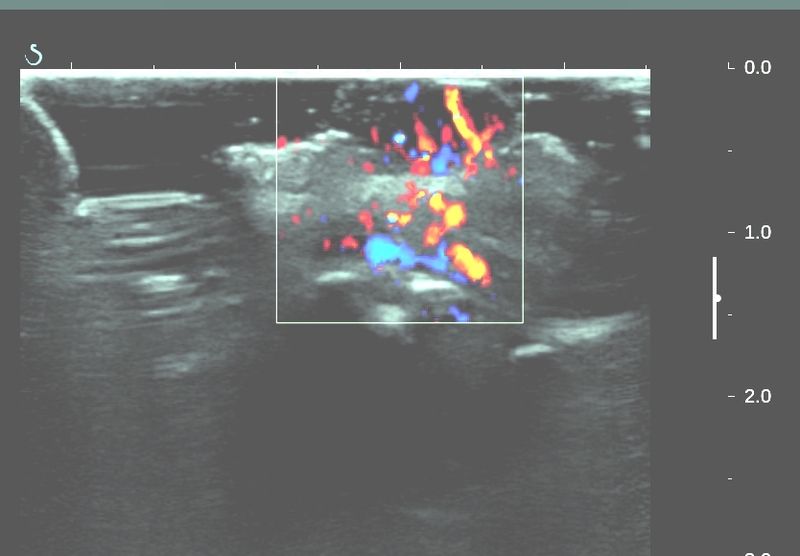 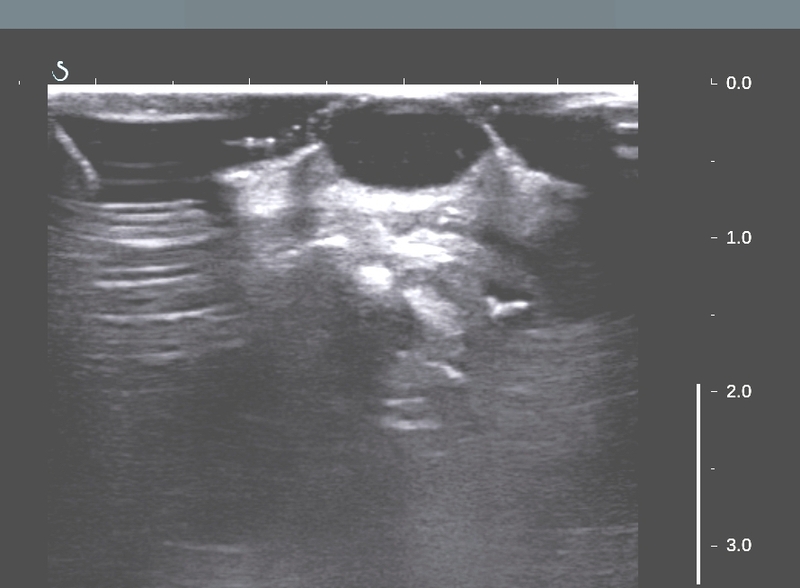 Ultrasound examination of this tumor from the skin of upper lip; no invasion to fatty layer but hypervascular. 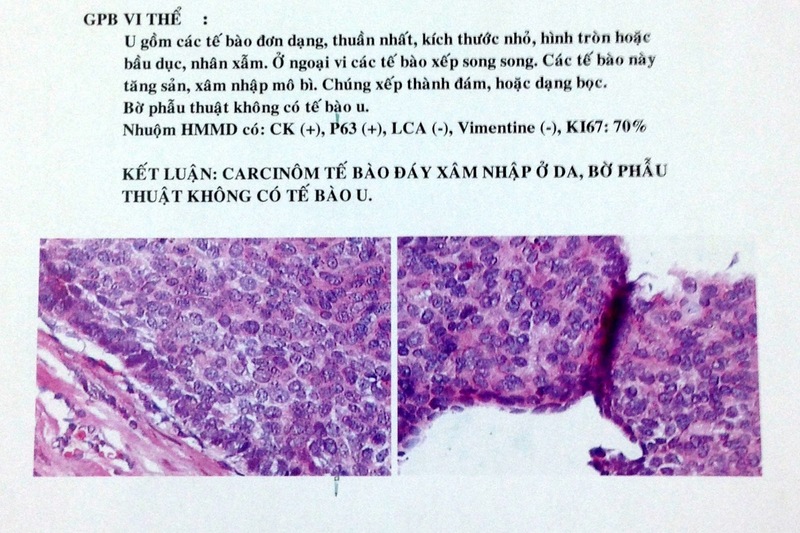 MICROSCOPIC IS BASAL CELL CARCINOMA [BCC] WITH IMMUNO HISTO STAINNING.